We are happy to have accomplished our goal and to update you that as of fall 2018, all of the wool in our products has been certified to the Responsible Wool Standard (RWS), from farm to finished product. In addition, our key wool partners have also met the even more stringent requirements outlined in the Patagonia Wool Standard (PWS). The development of both the RWS and the PWS took careful consideration of best practices in animal welfare and land management and consultation with farms, animal welfare experts, brands and NGOs. You can view the Patagonia Wool Standard here. As part of our wider responsibly sourced wool strategy, we have worked not only with the farmers raising the sheep but with our entire manufacturing supply chain to obtain certification to the RWS. This has meant that everyone from the scourer/top maker (who washes and initially processes the raw or greasy wool), the spinner (who takes the clean wool and turns it into yarn), to the finished goods factory all underwent audits to ensure they had strict chain of custody practices in place. This ensures that the responsible wool that was shorn at the certified farms was not mixed or swapped with conventional wool from other sources. This effort has spanned multiple supply chains and countries. In 2015 there were no RWS certified wool farms nor processors, but since then Patagonia and other concerned brands, suppliers and ranchers have helped increase adoption within the industry. And that is not all. In order to ensure that we have “best in class” supply chain assurance from farm to finished product, we also had to obtain certification for our own brand. This involved changing the way we worked across many departments and even undergoing onsite RWS audits at our distribution center. 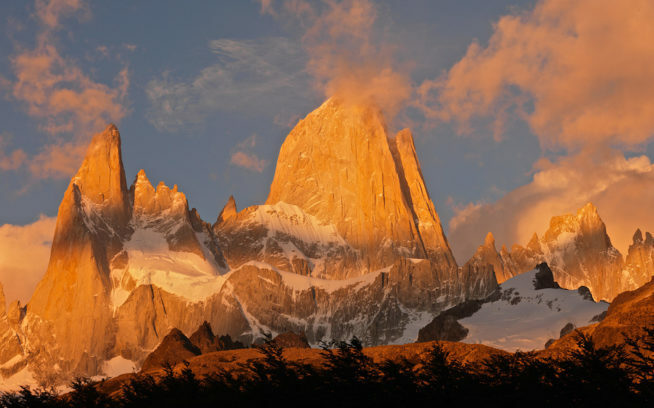 Obtaining a final stage certification mark is an important milestone for Patagonia as a brand. Supply chain traceability: For the majority of wool sourcing brands, even mapping their wool to the farm is practically impossible due to the number of consolidators, agents and traders that are a feature of the global wool market. Through our diligence we were fortunate to find wool suppliers who were willing to provide us visibility to their farms, and also guarantee the traceability of our wool through the supply chain. Finding likeminded wool partners: One of the biggest challenges was finding suppliers who were willing to start this journey with us and accept our requirements for wool, not only in quality but also in animal welfare and land management. Our Patagonia Wool Standard is the hardest to meet; this is due to the fact that two of our additional requirements involve processes that take place after the animals are sold by the farmer (when they are transported to the slaughterhouse, and the conditions in the actual slaughterhouse). This means the farmer has to obtain information on transportation and slaughter from their customers to whom the animals are sold. Keep in mind that the vast majority of the value of the animals is in their meat, not their wool, thus the meat customers have more leverage than we do as an apparel brand. Having said this, we were able to find great farmers who truly believe that this was possible and wanted to be part of the forward movement to become part of our preferred supplier pool. We know that our requirements have challenged farmers to change centuries-old traditional wool ranching practices. While we know that was difficult, we were inspired along the way by seeing how they overcame all the challenges. Our progressive farm partners first and foremost care for their animals and their land, that is their livelihood and legacy and they took our standards and crafted careful plans that helped them achieve the most robust animal welfare practices we have ever seen. It is also important to recognize that the men and women taking care of the sheep that give our wool are constantly faced with incredible business challenges from market fluctuations, legislative/policy developments, a changing climate, obtaining financing for their operations, and ensuring they train the next generation of farmers. We are honored they chose us to feature their wool in our products and applaud them for their commitment.